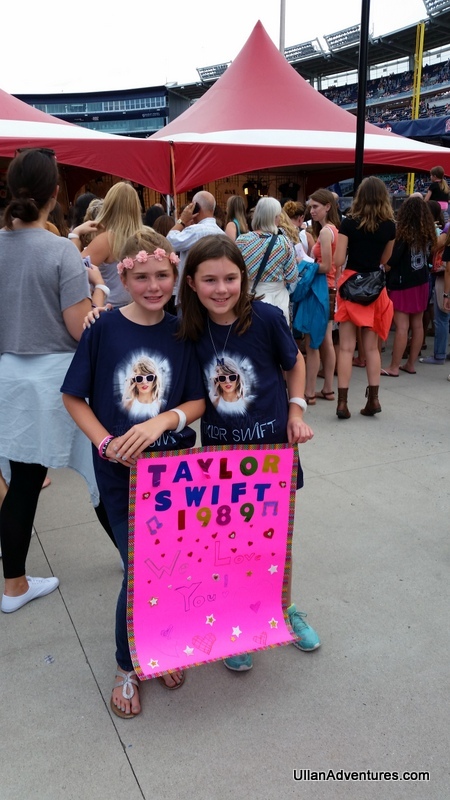 In the spring of 2015 (4th grade), Mara became a Taylor Swift fan. 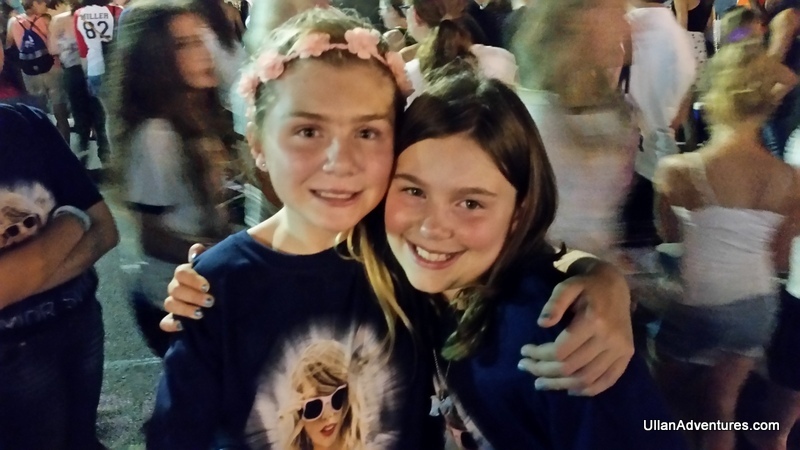 She liked the song “Style” but TS’s song “Bad Blood” really pushed her into huge fandom. 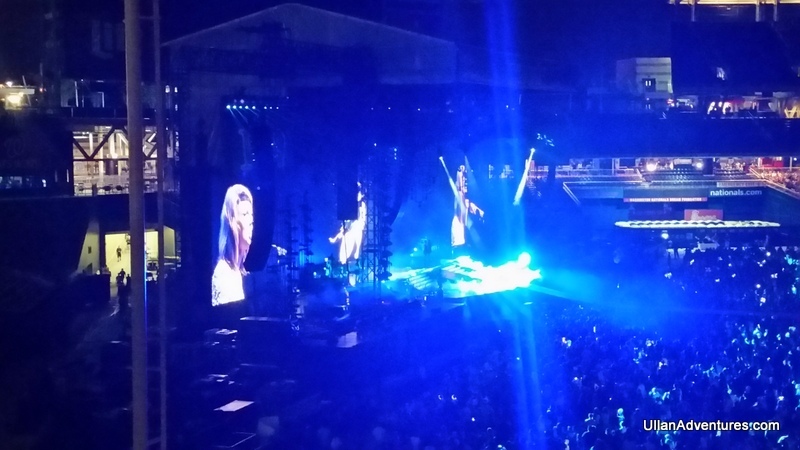 Chuck saw that Taylor Swift was coming to DC a couple of weeks after we arrived back east and there were still tickets so he surprised her with 2 tickets to the show. Strangely enough, one of Mara’s best friends from San Diego, Cypress, was coming out east and had tickets to the same show! We met up with them for dinner before the concert (which had the worst chicken nuggets ever!) and then headed to our seats for the opening bands. At first, Mara was disappointed with our seats and worried she wouldn’t see anything. But once the opening bands started, she started to realize this was going to be pretty cool. There were only 2 opening bands that night as there was a nasty storm on the way and Taylor wanted to get started in case we got rained out. Taylor came out to the song “Welcome to New York” and Mara got so excited she couldn’t decide whether to jump up and down or cry so she kind of did both. 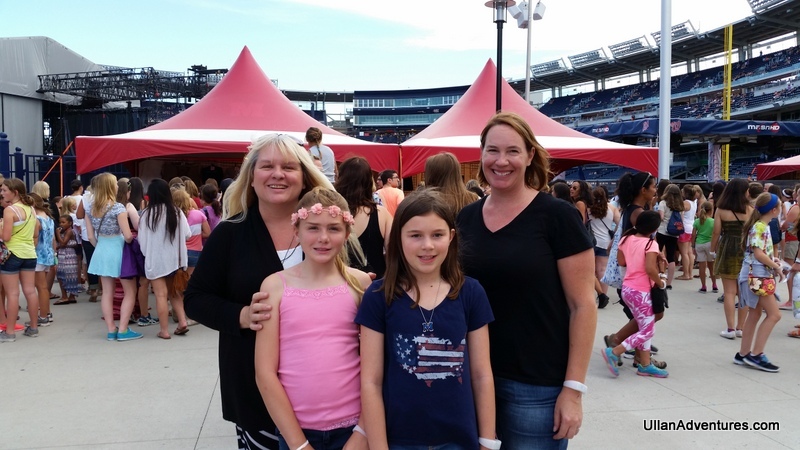 As her mom, it was awesome to watch her daughter’s excitement and I felt privileged to be there with her. The concert was AMAZING! I’ve been to many concerts but I have to say this was the most impressive and one of my favorites and I’m not even a TS fan. Well, I am now after that concert! TS really knows how to connect to an audience and made all of us feel like we were sharing some intimate moment with her. You also really get to see how amazingly talented she is. She came out with just her guitar for “Love Story” and played piano in another song. Just her, her music and her fans. One of the coolest things about the concert was that everyone got a wristband when we entered. 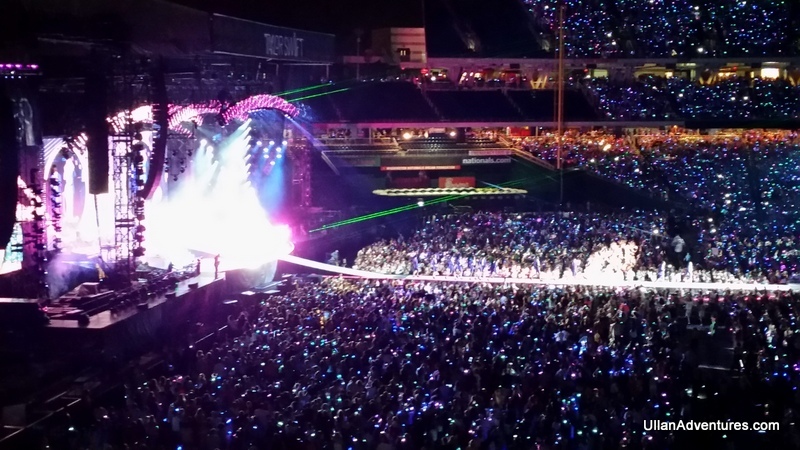 They were programmed to different colors and beats so the whole stadium lit up and pulsed along to the songs. They all turned pink for “Love Story”, all turned blue for another song, and would sometimes just randomly light in time to the music. 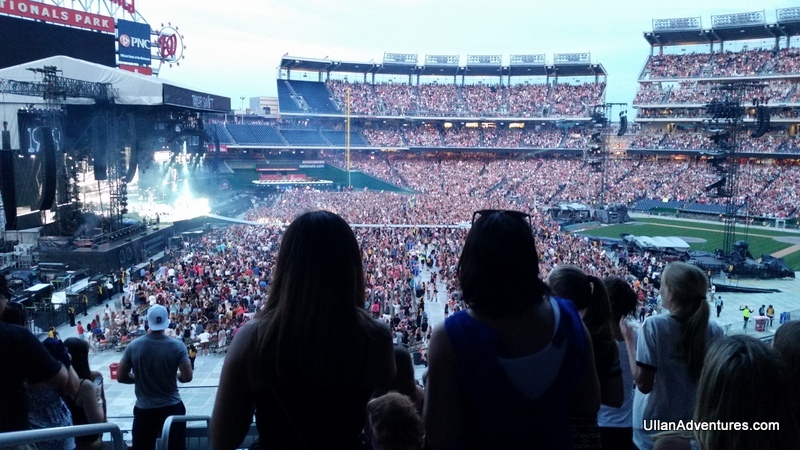 TS said she loved this because it meant she could see every single fan out there even the ones way up high in the back. TS did every song off her album and some of her old songs too. She even had Jason Derulo come on stage to perform his hit “Want To Want Me“. She saved “Shake It Off” for last which was incredible. She was standing on this massive rotating stage that flew over the crowd while fireworks went off and the whole stadium was erupting in song. It was a pretty cool finale. After the concert, we met up with Mara’s friend Cypress again to say goodbye before heading home. 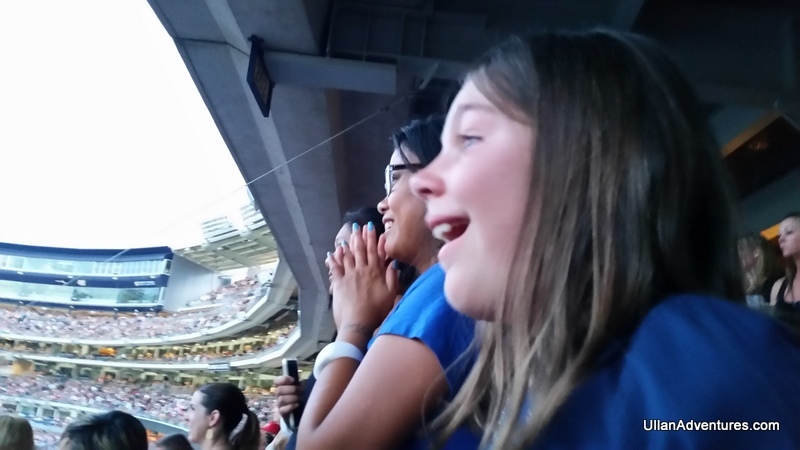 I’m so thankful I went to this concert and got to be the one to take Mara and share in her excitement. I don’t think it’s an experience either of us will ever forget. 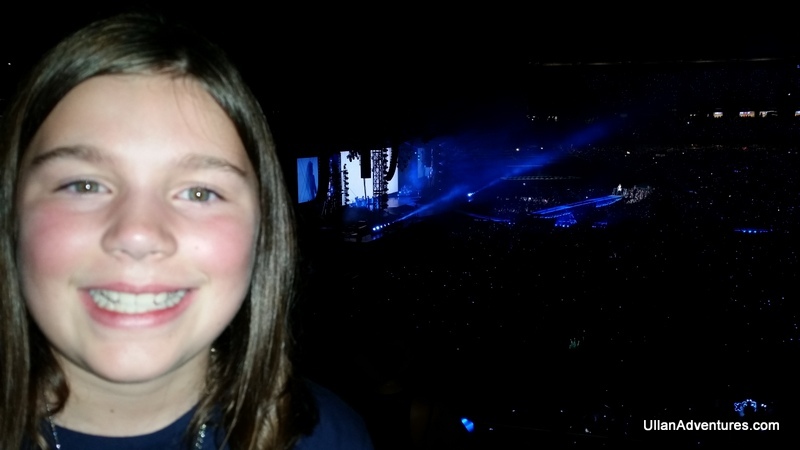 From Mara: This was my first ever concert and I loved it! I loved how she talked to the audience as if it was one on one. 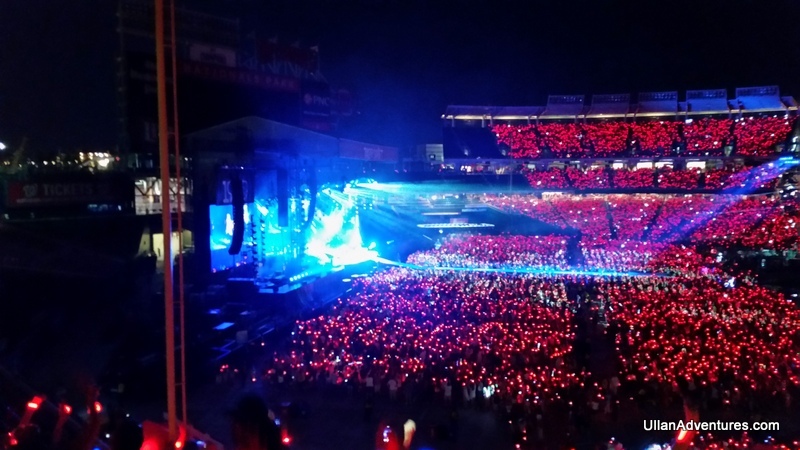 And it was so much fun with all the different lights in the stadium from the bracelets that they handed out. It was truly incredible. I loved every second of it. I wish I could go again.